Most of you have noticed that I haven’t been posting a lot lately. The main reason for this is that I am so busy at work. When I’m not tending to IT tasks, I use every spare cycle rendering one thing or another. I really love doing this work, but it consumes a lot of time I might otherwise spend blogging. Sorry! 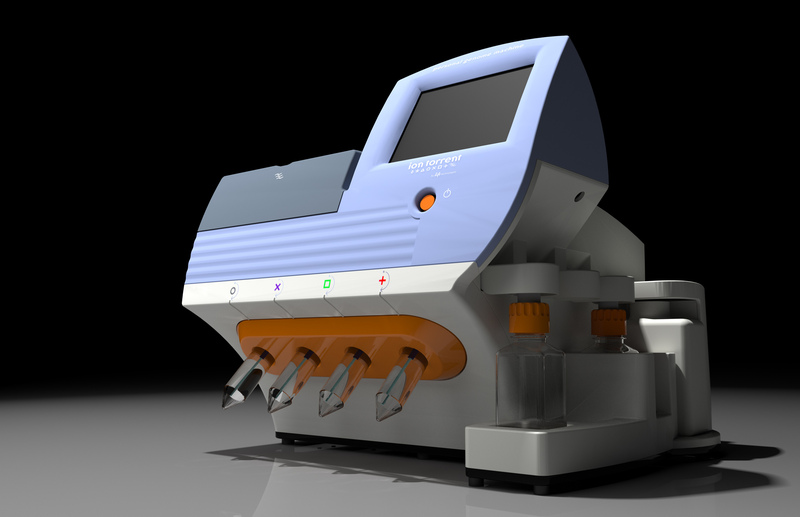 This latest rendering of the Ion Torrent Personal Genome Machine will be used in a very cool brochure. The image will stretch from the front to the back of an 11 x 17″ brochure. Woo-hoo! Rendered with the fabulous Thea Render.